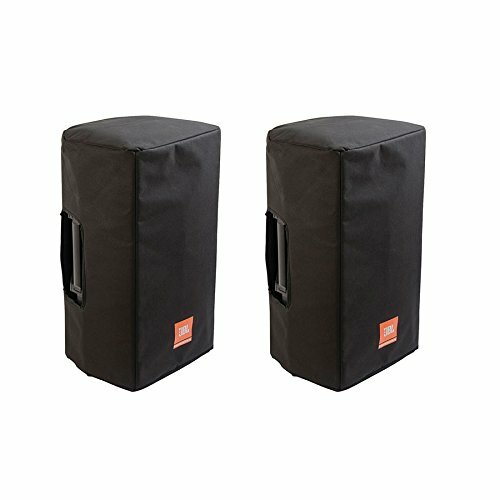 Providing weather proof protection for your EON612 that does not need to be removed when you use the speaker, the black Deluxe Weather-Resistant Cover for EON612 Powered Speaker from JBL is constructed with 420-D nylon exterior fabric and features 2 layers for protection. Its outer layer provides abrasion resistance, while the inner layer offers protection from the elements. Thanks to the roll away #10 nylon coil zippered front panel, the speaker can be used without the need for removing the cover. It also provides access to the rear-panel inputs as well as the side carry handles.